RhinoCAM is a Computer Aided Machining (CAM) plug-in for CNC that runs completely inside of Rhinoceros 5.0. This plug-in is a general purpose machining program targeted at the general machinist. RhinoCAM marries the power of Rhino's freeform modeling with the legendary machining capabilities of VisualCAM to bring you a product of unrivaled capability for free form surface machining. 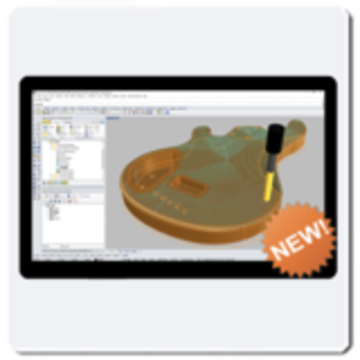 RhinoCAM includes modules for MILL, TURN, NEST, and ART to address specific needs of various CNC manufacturing processes.